DUBAI: Middle East ride-hailing company Careem said on Thursday it had secured $200 million in fresh funding from existing investors and that it expects to raise more to finance expansion plans. 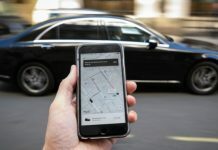 A source close to the deal told the latest investment gave the ride-hailing company an estimated valuation of over $2 billion. Careem was estimated to be worth around $1 billion as of December 2016. 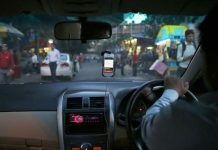 Dubai-headquartered Careem, the main regional rival of Uber Technologies, said it expected to raise a total of over $500 million in its latest funding effort to expand into mass transportation, deliveries, and payments. It was reported in March that Careem was in early talks to raise as much as $500 million from investors. Careem, founded in 2012, says it has 30 million registered users in over 120 cities in the Middle East, North Africa, Turkey, and Pakistan. The $200 million came from existing investors which includes Saudi Arabian billionaire Prince Alwaleed bin Talal’s Kingdom Holding, Al Tayyar Group, STV, and Japanese e-commerce company Rakuten. Careem counts German carmaker Daimler and China’s largest ride-hailing company DiDi Chuxing as some of its other backers. Careem has expanded into new markets this year such as Sudan and started trialling food delivery services after buying a restaurant listing and reservation online platform. 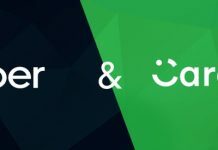 Also, it was reported in July that Careem was planning to spend up to $150 million to launch its food delivery business following the acquisition of the RoundMenu restaurant platform.